The Notting Hill Yummy Mummy Shoe. NHYM 2015. A few months ago, I was approached by Upper Street, an online luxury shoe designing service, to see whether I wanted to design my own shoes. I checked out their website and thought to myself, this could be really fun. 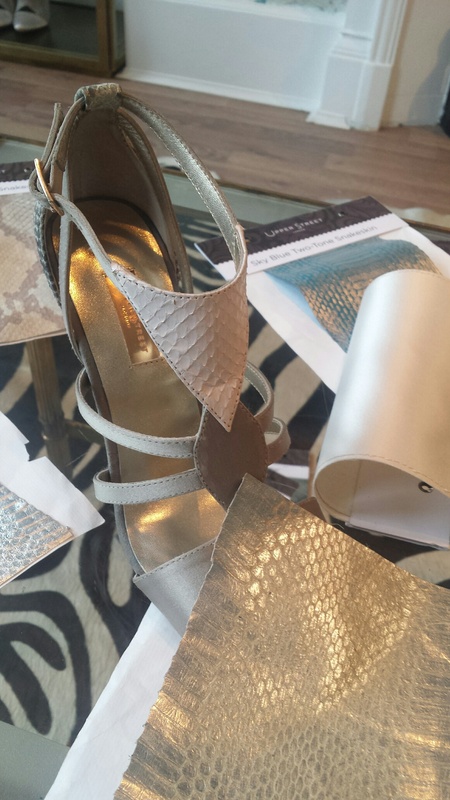 I could be creative, sip champagne and macaroons at their Shoe Lounge, and end up with my very own NHYM shoes! I agreed immediately, opting to come and visit their offices and their Shoe Lounge. Julia Elliott Brown founded www.upperstreet.com in 2010 and has been growing her company steadily ever since. The concept is simple yet smart: design your own shoes online. For women who never find the right sizes or have a very distinct idea of what they want, this certainly could help. In my case, I can’t wear high heels because my feet are a funny shape, so need medium-height heels, which aren’t always that easy to find. Granted, there are pre-designed styles to choose from so it’s not designing them entirely from scratch, but there are new designs and designers being introduced regularly, which is a great feature (https://www.upperstreet.com/shoe-wonderland/cordwainers-collection). For those who are a bit weary of buying shoes online and not being able to try them on first, there is a Shoe Lounge in central London, where you can try various shoe sizes and shapes to make sure they fit comfortably and where you can actually look and feel the swatches of materials. 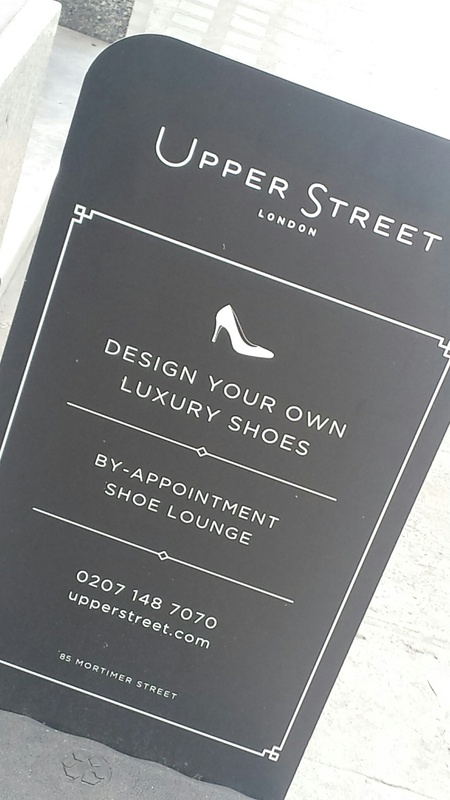 To design my shoes, Janine, my stylist, asked me to go online to the Upper Street website and choose a style, the heel, the front, the back, straps, embellishments and colour prior to coming in to the Shoe Lounge so that she could get samples ready for me. 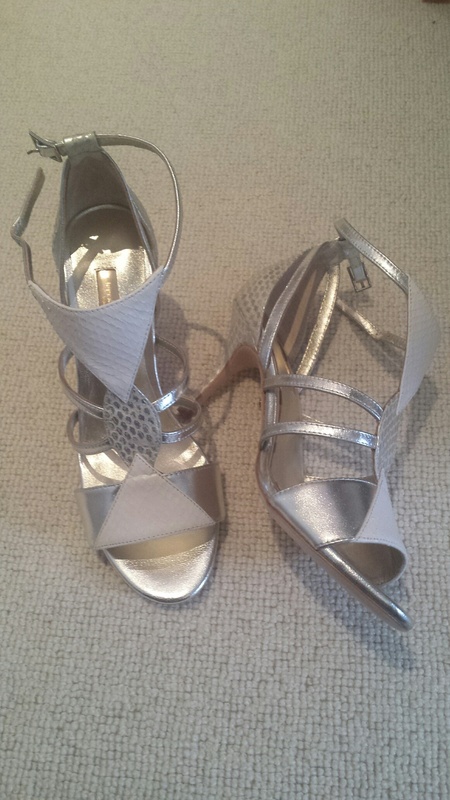 Luckily, I found a style that I really liked and decided on silvers and snakeskin in terms of materials because a) it was summer b) my fave silver strappy shoed had recently experienced a slow demise c) who doesn’t love snakeskin? c) I thought something fun and brash would be oh-so NHYM. 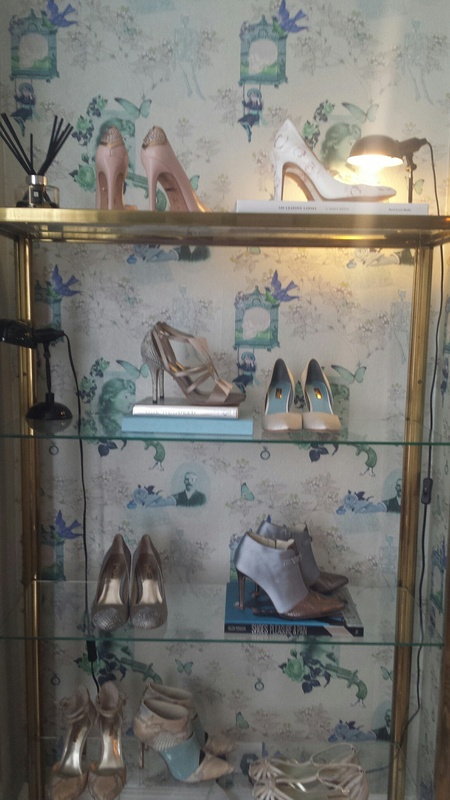 A few days after sending in my choices, off I went to visit the Shoe Lounge, which is located in Fitzrovia, a townhouse in the garment district. 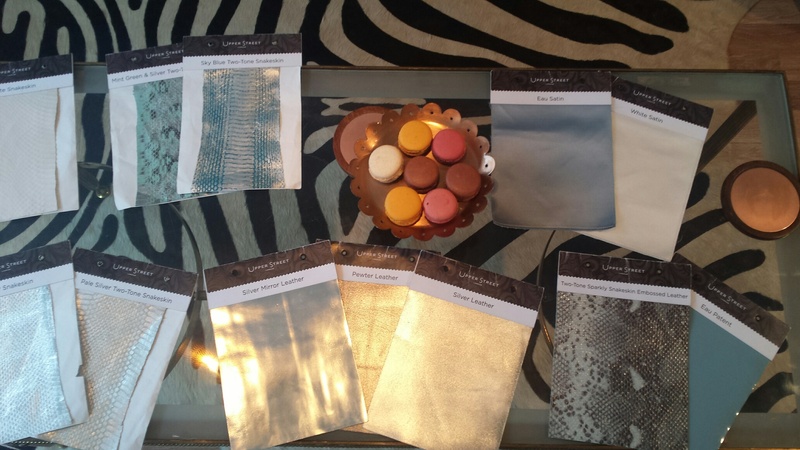 I was welcomed by Janine who brought Champagne and Macaroons for me to taste while she laid out a bunch of material swatches based on my colour and material preferences. This is where the fun began! While I tried on a sample pair of shoes to ensure a good fit, I looked around the various shoes on display, and I could see that you could really try a million different combinations and get very creative with it. 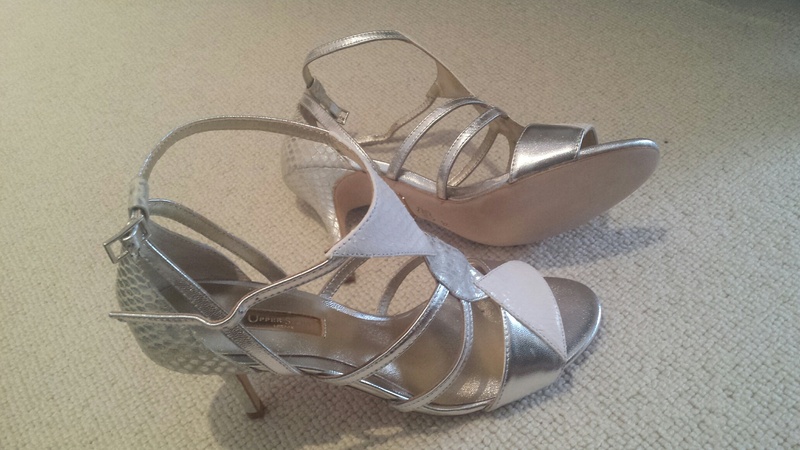 I am very particular with my shoes because I can’t wear very high heels, you see, I don’t have ‘Happy Feet’, I just have ‘Funny Feet,’ funny-looking, funny-shaped and funny in general, which if you recall, are not the prettiest on the block: https://nottinghillmummy.com/2015/07/03/the-serpentine-summer-partys-uptown-funk-2015/ So it is difficult for me to find shoes that fit well. I was somewhat worried about how comfortable the shoes would be, given my shoe history: I have definitely bought a number of shoes that just didn’t fit my feet that ended up laying down to rest in my shoe cupboard untouched for years. Sample shoe with materials. NHYM 2015. 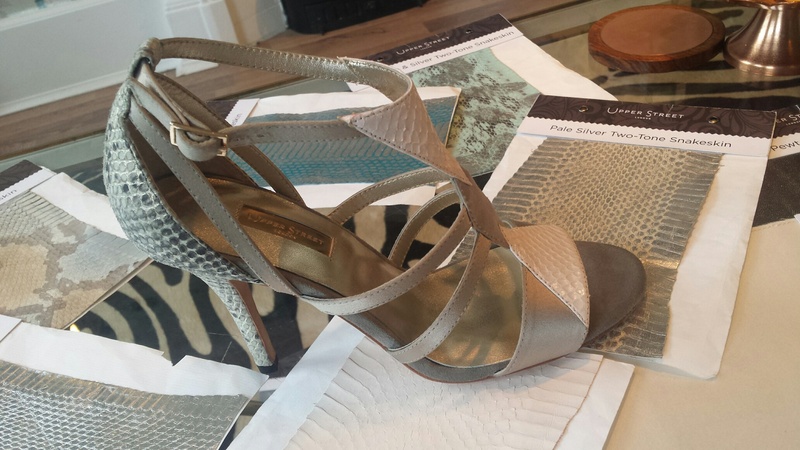 I found the shoe style I liked, and started choosing fabrics and materials to go with it. Choosing is really difficult! Especially since I already really like the shoe sample itself. It is difficult visualising the different materials together and imagining how they would fit together. It made me realise how hard designing shoes really is. But I loved feeling the various swatches and coming up with different combinations for my shoes. Ok, so my shoe isn’t very different than the sample shoe I tried on (I know, can you even tell the difference?? ), but I switched the satin silver for metallic silver, lowered the heel, and added silver snakeskin. I could have gone crazier with the shoe colour scheme, but I wanted shoes I could use regularly. I will let someone else take the risk. These shoes would be perfect with a white summer dress, or dressed up with a Christmas cocktail dress. 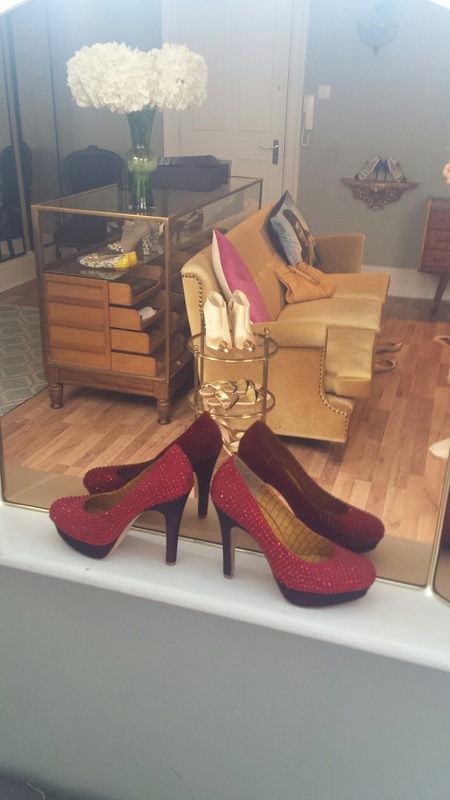 Red sparkly shoes, Shoe Lounge, Upper Street. NHYM 2015. After agreeing to the final shoe design, all I had to do was wait three weeks until my shoes would magically appear. A few weeks later, my very pretty, Net-a-porter-influenced shoe box finally arrived with my very own NHYM shoes inside! I love my new shoes. They are more comfortable than I had imagined, which is very important for someone with ‘Funny Feet’. I wore them out to a dinner and so far, no blisters and no aching feet. I haven’t gone through the ‘dancing on tables’ shoe test, which will be the real test of comfortable-ness, but so far so good. The quality seems good, but only time will tell whether they will be durable like good old Jimmy Choos that I have had since 2003. 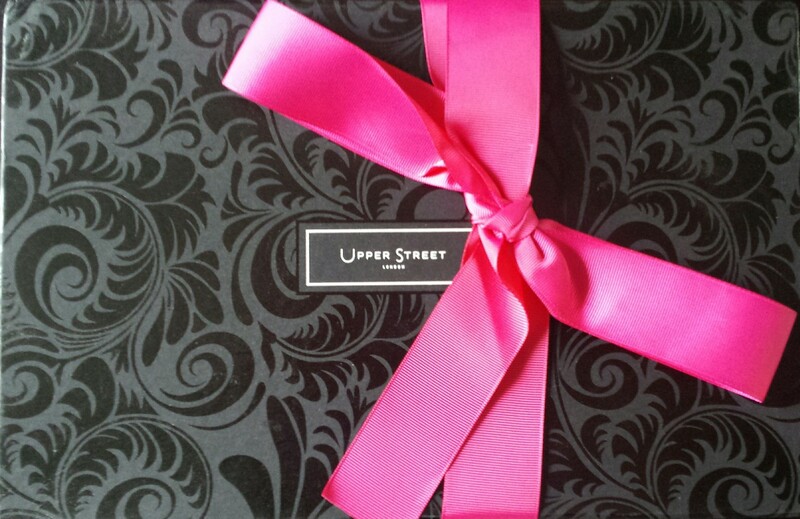 Upper Street is a fun, young, dynamic company that has a great vision. The only minuses are that there are only limited amount of styles and you can’t actually get your feet ‘moulded’ for the perfect shoe, but if that were the case, the shoes wouldn’t be hovering around £300 but rather around £1,000+. (£225 for flats, £380 and above for ankle boots). They now have their own workshop to really ensure quality control and to create a proper brand. 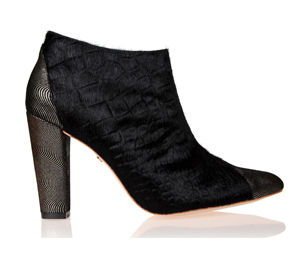 Now that winter is coming, I am rather coveting Janine’s ankle boots, so they will be next on my list for autumn/winter ’15! Ankle boot. 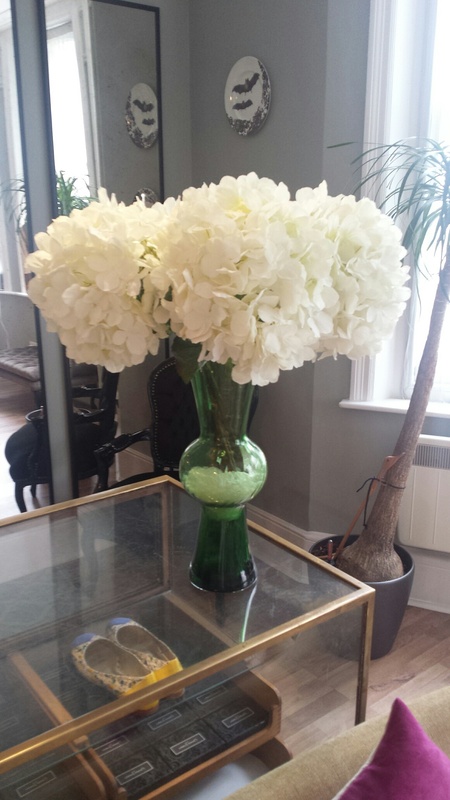 Photo from Upper Street website. NHYM 2015.